Farmers in the northern region had bumper winter-spring crops with rice output estimated at 7.2 million tonnes thanks to prompt crop schedule adjustments. The information was heard at a preliminary conference held on May 24 in the northern province of Ha Nam to review the 2016 winter-spring crop and implement the 2016 summer-autumn crop in the northern region. According to the Ministry of Agriculture and Rural Development (MARD), the cultivation of high-quality rice varieties increased in northern provinces while effective farming techniques were applied to reduce seed and labour costs. Thus, the localities had an average yield of more than 5.7 tonnes per hectare although cold waves and prolonged drought hit the region. However, Deputy Director of the Department of Crop Production Tran Xuan Dinh noted that localities need to pay heed to crop protection due to complicated plant diseases. He also recommended local agricultural officers instruct famers to spray pesticides in a suitable period. 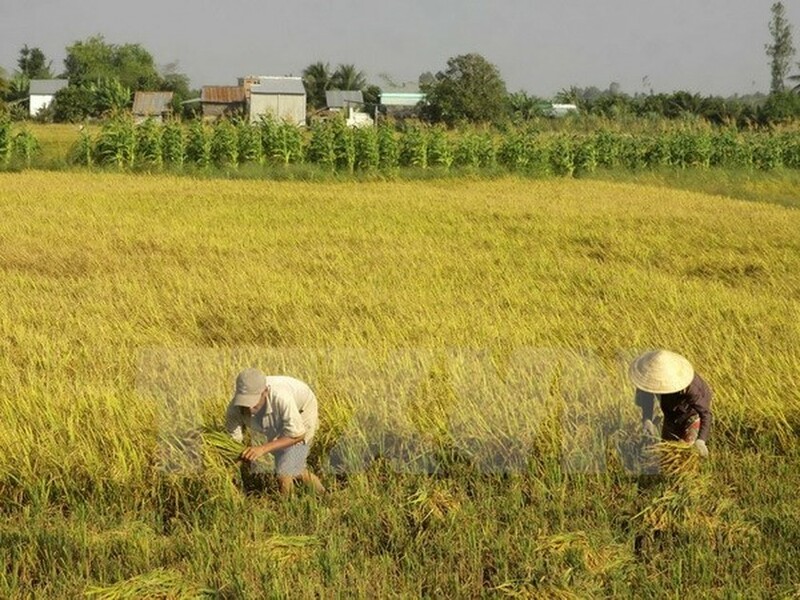 MARD Deputy Minister Le Quoc Doanh asked the Department of Crop Production to join hands with relevant agencies to instruct provinces to outline a plan for crop production amid unfavourable weather conditions while ensuring sufficient seed for the farmers. Participants at the conference underscored that due to the critical impacts of climate change, harvest of winter-spring crops should be sped up for summer-autumn crop cultivation. Localities need to focus on short-term rice strains and map out solutions to prevent inundation and reduce damage caused by rain and floods. The northern region will cultivate 1.32 million hectares of rice during the summer-autumn crop, decreasing 12,000 hectares from the same crop last year. The average yield is calculated at 5 tonnes per hectare while productivity is expected at 6.62 million tonnes.